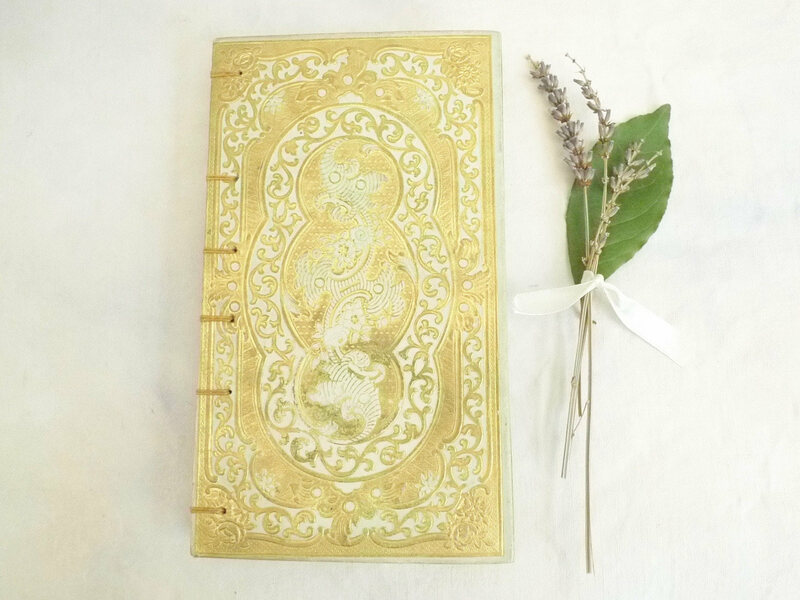 Spellbinderie offers one of a kind guest books and journals made-to-order from authentic antique French books. 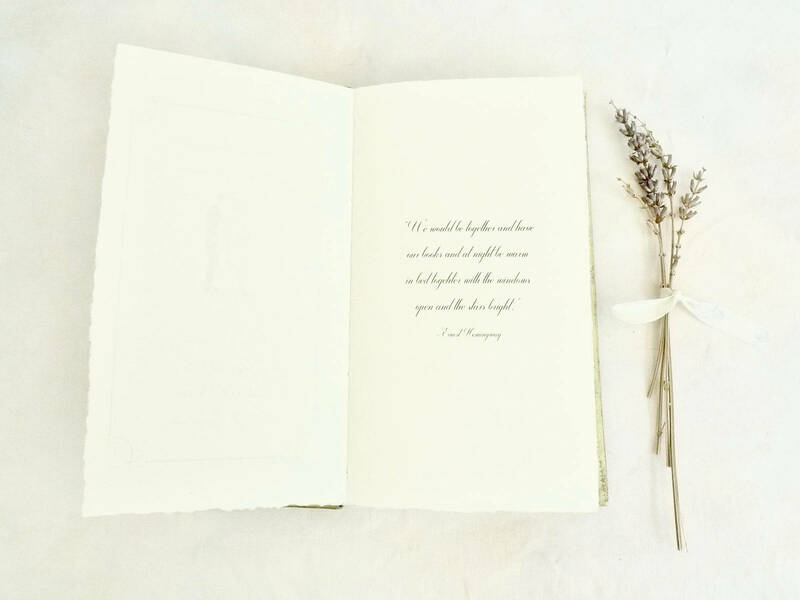 The perfect romantic keepsake for a wedding, anniversary or to give as a gift! 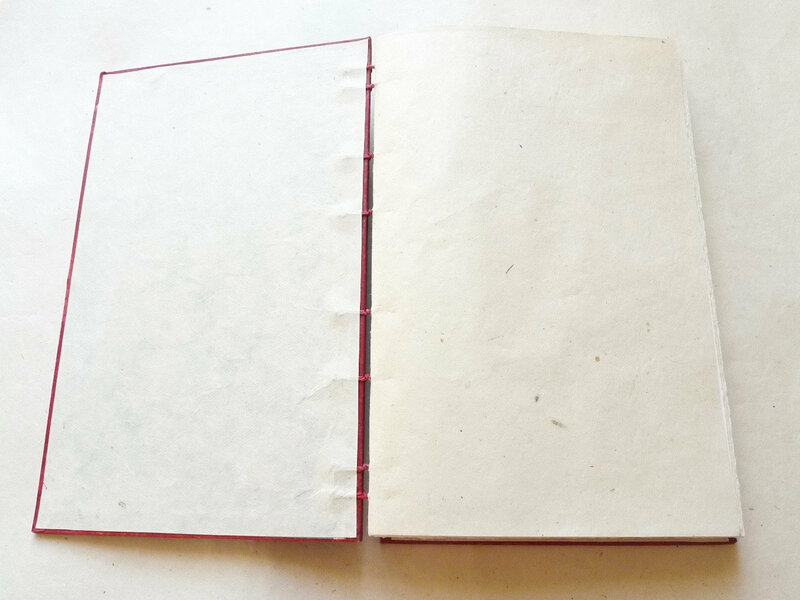 A variety of options are offered to allow you to personalize your book. 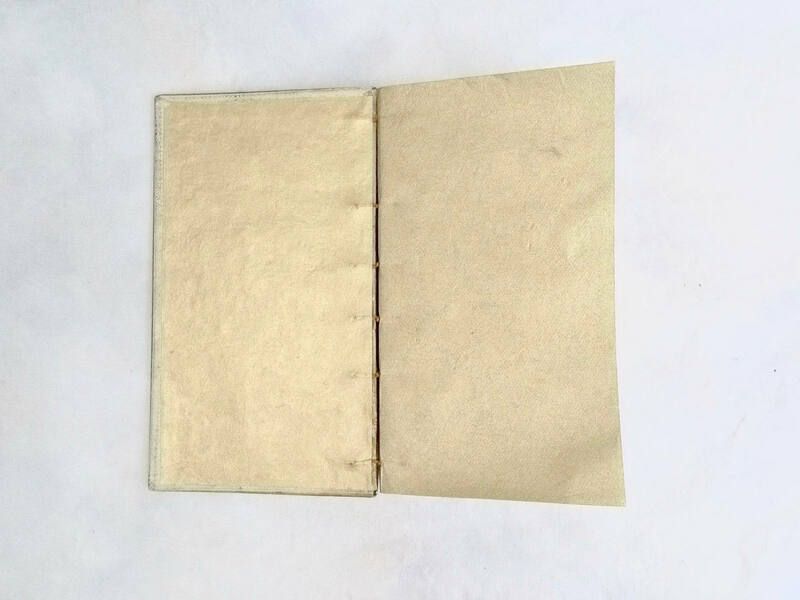 Add your names, wedding vows, favorite poem, etc. Contact me with your ideas, custom orders welcome. 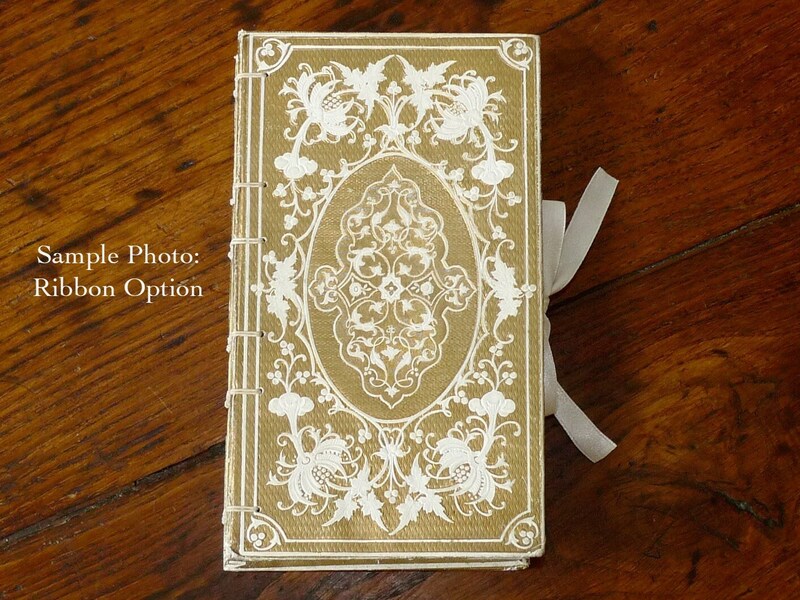 Photos show a sold guestbook, this cover is no longer available. 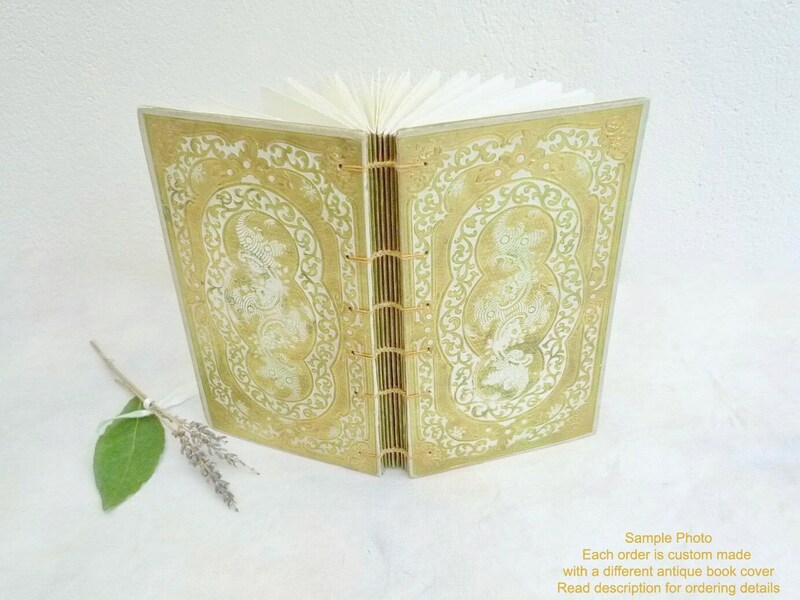 The guestbook shown in the sample photos was made from an ornate small book measuring around 4.25 x 7.25 inches. Or contact me with your request if you'd like me to try and find a book for you. Other options & personalized packages available, quotes available upon request.